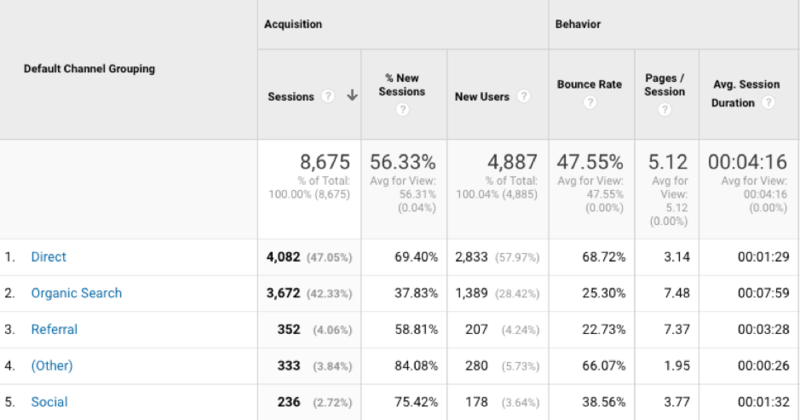 In the last Google Analytics blog we talked about the dashboard, and in this second blog we are going to focus on the ‘All traffic’ category of the acquisition section of the dashboard. When you look at the acquisition section you can drill down into traffic, Adwords, search console, social and campaigns, but we will focus on these other categories at a later date. The all traffic category lets you view your website traffic in terms of the channels, tree-maps, source/medium and referrals. No matter which category you want to view, for all of them, you will view a line chart and a table, for which you can set the date range for. 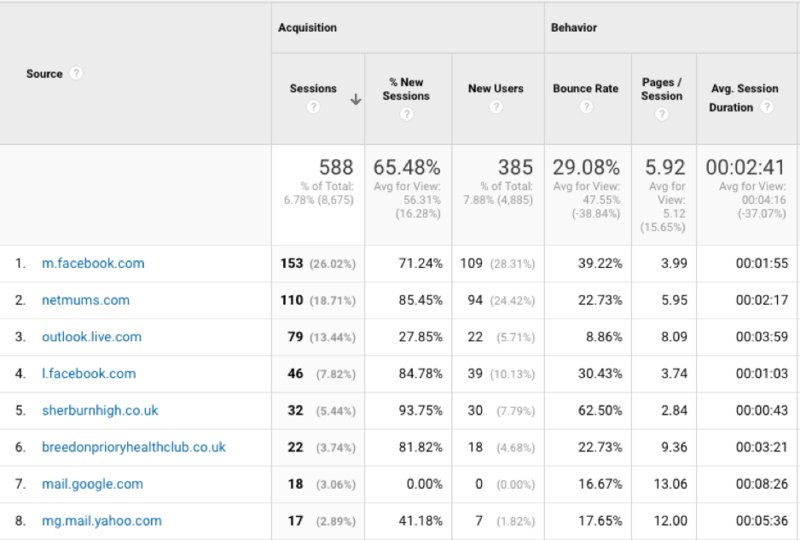 The line chart shows you’re the sessions over the selected time period, whilst the table lets you view the data in terms of Acquisition (Sessions, % new sessions and new users) and Behaviour (bounce rate, pages/session and average session duration). If you have set up any Goals (which we will discuss in a later blog) you will also be able to view these. The channels section shows you where your traffic has come from; this can be Direct, Organic, Referral, Social or Other. Direct traffic is traffic when users have typed your website URL directly into their browser, whilst organic is when users have searched in Google. Referral traffic is any traffic from any other website that has a link to your website. Social is traffic from any of your social media profiles, and Other is anything else that Google Analytics can’t determine. This can actually also include Social as sometimes Google Analytics struggles to group social correctly. For this reason, it is a good idea to create UTMs for any website links that you are sending to from your social profiles. This way you can track the performance of your social campaigns as the data sits under campaigns in the acquisition category. You can create UTMs in Google’s Campaign URL Builder. As you fill in the fields the URL will be populated in the URL builder box, which is the URL to use in your social media campaigns It’s a good idea to keep a document of the URL details in for you to monitor and use again in the future. The Tree-maps lets you view the same data in a visual format. The source/medium category lets you drill down into the traffic further to few the specific sources, eg; which search engine, which social platform, which referral site. The referrals category lets you view the referral websites. This is any website that has a link to your website, or may have featured a press release or advert. 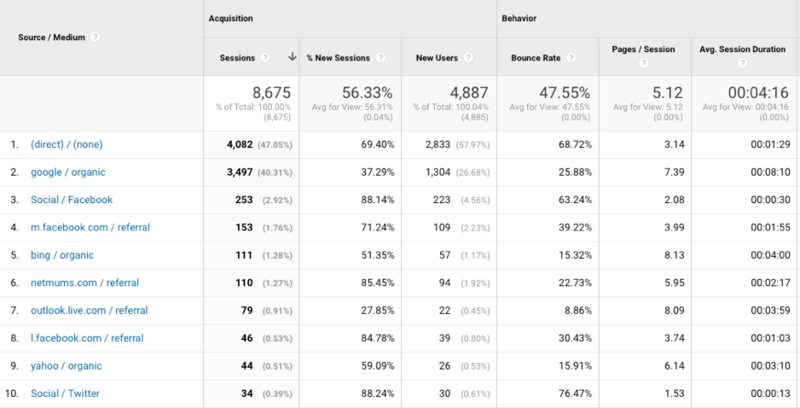 Keep coming back to our website to see the next blog which will explain the Behaviour section of Google Analytics, but in the meantime take a look at the Acquisition section and get to understand what the data is telling you about your website. 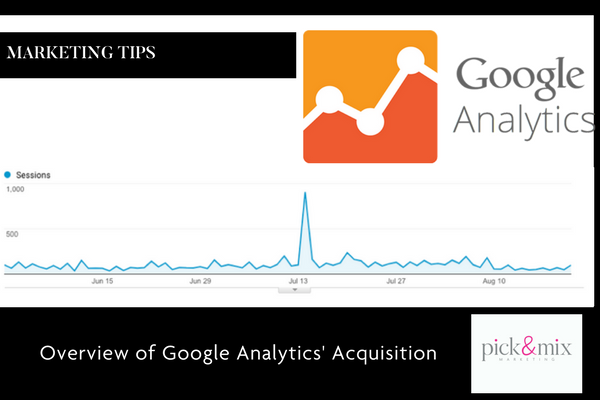 If you would like any further information on Google Analytics or to discuss your marketing requirements, please contact the team on 01904 863511 or email info@pickandmixms.co.uk.